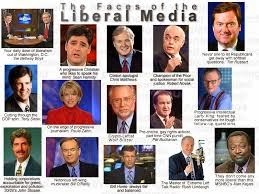 "Prince Riebus (and apparently many others) still thinks there’s a liberal media. 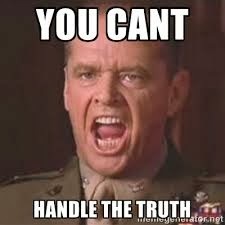 "While I share Prince’s frustration with the media, as a liberal, I’d like to go on record and state that the media isn’t focusing on issues I care about. They seem to be far more focused on entertainment and making money. "1. Where the jobs went. "Outsourcing (or offshoring) is a bigger contributor to unemployment in the U.S. than laziness. 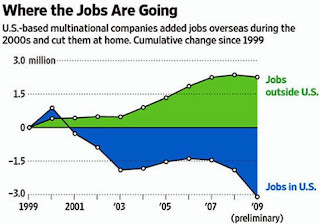 "Since 2000, U.S. multinationals have cut 2.9 million jobs here while increasing employment overseas by 2.4 million. This is likely just the tip of the iceberg, as multinational corporations account for only about 20 percent of the labor force. "When was the last time you saw a front-page headline about outsourcing? "2. 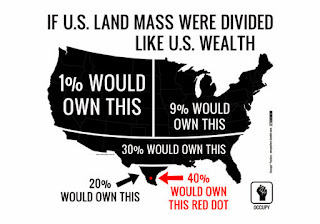 Upward wealth redistribution and/or inequality. "In 2010, 20 percent of the people held approximately 88 percent of the net worth in the U.S. The top 1 percent alone held 35 percent of all net worth. "The bottom 80 percent of people held only 12 percent of net worth in 2010. In 1983, the bottom 80 percent held 18 percent of net worth. "These statistics are not Democratic or Republican. They are widely available to reporters. Why aren’t they discussed in the 'liberal' media? "If there was a corporate organization that drafted laws and then passed them on to legislators to implement, wouldn’t you think the 'liberal' media would report on them? "Many legislators don’t even change the proposals handed to them by this group of corporations. They simply take the corporate bills and bring them to the legislative floor. "This is the primary reason for so much similar bad legislation in different states. "They’re meeting in Chicago this weekend. Maybe the 'liberal media' will send some reporters. "4. The number of people in prison. "Which country in the world has the most people in prison? "You might think it would be China, with over a billion people and a restrictive government, or former Soviets still imprisoned in Russia. "Wrong. The United States has the most people in prison, by far, of any country in the world. With five percent of the world’s population, we have 25% of the world’s prisoners – 2.3 million criminals. China, with a population four times our size, is second with 1.6 million people in prison. 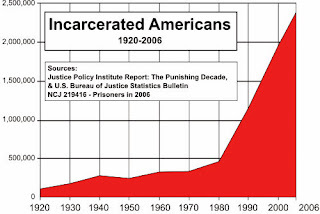 "In 1972, 350,000 Americans were in imprisoned. In 2010, this number had grown to 2.3 million. Yet from 1988 – 2008, crime rates have declined by 25 percent. "Isn’t anyone in the liberal media interested in why so many people are in prison when crime has dropped? "5. The number of black people in prison. "In 2009, non-Hispanic blacks, while only 13.6 percent of the population, accounted for 39.4 percent of the total prison and jail population. "In 2011, according to FBI statistics, whites accounted for 69.2 percent of arrests. "Numbers like these suggest a racial bias in our justice system. "To me, this is a much bigger story than any single incident like Travyon Martin. Or, at the very least, why didn’t the “liberal media” ever mention this while covering the Martin story? "6. U.S. health care costs are the highest in the world. "The expenditure per person in the U.S. is $8,233. Norway is second with $5,388. Total amount of GDP spent on health care is also the highest of any country in the world at 17.6 percent. The next closest country is the Netherlands, at 12 percent. "As a liberal, I’d like to ask why the market isn’t bringing down costs. I’d think a “liberal” media might too. "Glass-Steagall separated risky financial investments from government backed deposits for 66 years. "The idea is simple. Banks were prohibited from using your federally insured savings to make risky investments. "Why is this a good idea? "Risky investments should be risky. If banks can use federally insured funds, there is no risk to them. If they win, they win. If they lose, we cover the cost. "When was the last time you saw a front page headline about gerrymandering? "Before the 2010 election, conservatives launched a plan to win control of state legislatures before the census. 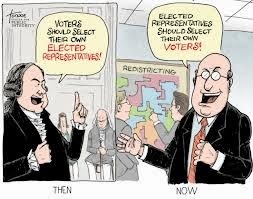 The idea was to be in power when national congressional districts were redrawn in order to fix them so Republicans would win a majority of districts. "The Redistricting Majority Project was hugely successful. In 2012, Barack Obama was elected President by nearly 3.5 million votes. In Congressional races, Democrats drew nearly 1.4 million more votes than Republicans yet Republicans won control of the House 234 seats to 201 seats. 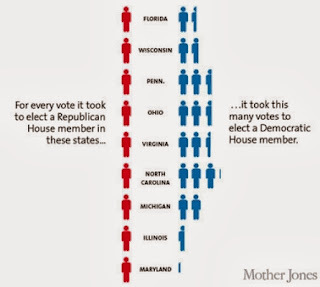 "By pumping $30 million into state races to win the legislatures, Republicans redrew state maps in states such as Arizona, Michigan, North Carolina, Pennsylvania, Virginia, Texas, Florida and Ohio to place all of the Democrats into just a few districts. In this manner, Democrats win heavily in a couple districts and lose the rest. "In North Carolina, the statewide vote was 51 percent Democrat and 49 percent Republican yet 9 Republicans won and only 4 Democrats. "Where is your coverage of this vote stealing, 'liberal media?' You’re willing to cover voter ID laws; why can’t you cover real vote stealing? "9. The number of bills blocked by Republicans in Congress. "The filibuster has been used a record number of time since Obama was elected President. From 2008-2012, 375 bills weren’t even allowed to come to a vote in the Senate because Republicans threatened the filibuster. "In 2013, during the first six months, Congress has only passed 15 bills that were signed into law. This is eight fewer than in the first six months of 2012 and 19 fewer than 2011. "Also, until the Senate recently threatened to reform the filibuster, the GOP had succeeded in holding up 79 of President Obama’s picks to the U.S. Circuit Court and Courts of Appeal. They’re blocking these appointments regardless of qualification. "Where’s the coverage? Where are the reporters asking why nothing is getting done? "In a 2011 Hart poll, only 22 percent of those polled had actually heard of the Citizens United v. Federal Election Commission decision before taking the survey. "If 77 percent believe that corporations have more control over our political process than people, why isn’t the liberal media talking more about the Citizens United decision? "This strategy has been used since President Johnson and Democrats in Congress passed the Civil Rights Act to build the Republican party. Examples of this strategy were evident as recently as 2008 and 2012 as Republicans took up their assault on Medicaid, Social Security, labor unions, and Obamacare – programs which, though they benefit more white seniors, retirees, women, and children, have been sold to many Americans as handouts to lazy, undeserving blacks and minorities. "12. 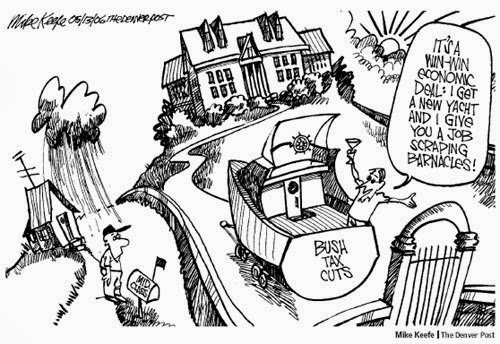 Tax cuts primarily benefit the wealthy. A progressive tax program is designed to tax people very little as they are starting out and progressively increase their rates as they do better. "Republican plans seem designed to do exactly the opposite: shift the tax burden off of the wealthy and onto working people. "Take the repeal of the estate tax. In Ohio this was recently repealed by Republicans. The benefit is only realized by people with estates larger than $338,000 (as the first $338k was exempt) and realized most by people with even wealthier estates. "This also explains why Republicans want to shift the system from income taxes to consumption taxes. Consumption taxes are paid most by those at the bottom as basic consumption remains the same regardless of income. "It also explains why capital gain taxes are so low. Income through capital gains is only taxed at 20 percent (increased from 15 percent in 2012) instead of at the rate of other income (closer to 35 percent). "It also explains why Republicans were so willing to let the payroll tax cut expire. The payroll tax cut benefited people who were getting paid, not those issuing the paychecks. How much fight did you see to save this tax cut? "While tax cuts are sold to us as benefiting everyone, they really benefit a select few at the very top. "If everyone knew who tax cuts really benefit, would so many people vote for them? "13. 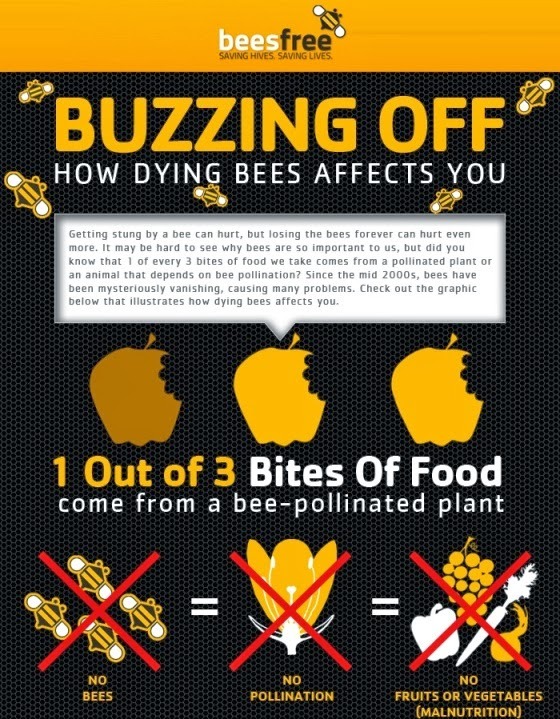 What’s happening to the bees? "40-50 percent of commercial U.S. bee hives were lost this year to colony collapse disorder. "This seems like an odd one to include, why is this important? "The Agriculture Department says a quarter of the American diet depends on pollination by honeybees. "Dating from 2006, colony collapse disorder is a relatively new problem. 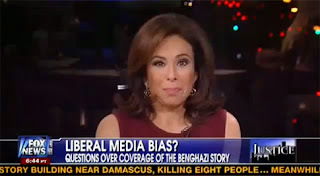 More “liberal media” coverage might push the urgency of the issue. "Instead here’s a typical media story about bees: Thousands of Bees Attack Texas Couple, Kill Horses. "14. The impact of temporary workers on our economy. "The number of temporary workers has grown by more than 50 percent since the recession ended to nearly 2.7 million. "If freelancers, contract workers, and consultants are included, the number is nearly 17 million workers not directly employed by the companies who hire them. This equals 12 percent of the workforce. "Six corporations – Time Warner, Disney, News Corporation, Viacom, Comcast, and CBS -control roughly 90 percent of the media in the U.S.
"These companies are in business to make a profit. "This is why you’ll find plenty of advertisements in the media. Entertainment? Check. Sports? Definitely. Weather? Yep. "You’ll also find plenty of 'if it bleeds, it leads' stories designed to hook you in. Vendors, witnesses recall Venice hit-and-run horror. Fort Hood trial turns bizarre as shooter grills witnesses. "There’s also plenty of political bickering: Democrats said this, Republicans said that. We let you decide (but we never weigh in with any facts or fact-checking). "What won’t you hear? You won’t hear the 'liberal media' discuss the corporate media. 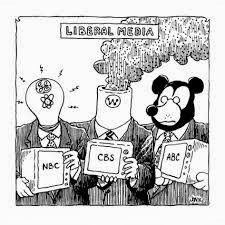 "If the media were 'liberal,' it would serve the public interest and shine a light on issues like the ones above. "More people would also have a better understanding of global warming, peak oil, population growth, political lobbying, government’s role in a functioning economy, how much we spend on the military, and countless other issues. "What you’re more likely to see in the media, however, are stories designed to get you to buy their paper, or watch their show, or listen to their radio station. If it bleeds, it leads. This is why the media is concerned with scandal, celebrities, gossip, and fear. "If anything, our news consists of paid advertisements and outlets too scared of offending anyone to publish much of substance. Investigative journalism is also expensive; entertainment is cheap. "The way this corporate media behaves may not be surprising. I apologize if you feel any of this is beating you over the head. "This Buzzfeed-style list wasn’t intended to introduce this idea as new (others have done a much better job), but rather to highlight the sheer absurdity of a 'liberal media' for an audience who may not see it. "One way to approach the topic is to simply ask: If we have a 'liberal media,' where are the liberal stories?" 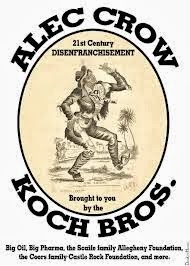 "ORIGINALLY POSTED BY AKADJIAN TO DAILY KOS ON WED AUG 07, 2013 AT 05:02 AM PDT." Corporations that own the media have been complicit in the Conservative crime spree, and the nature of the media - staffed by patriots and owned by the wealthy - seems rather schizophrenic. Journalism is practically dead in America. There are a multitude of stories that the corporate media has suppressed, police brutality across the country, the use of lies by the GOP to cover up their underlying goal of the wealthy to reinstate feudalism, the lie of corporate personhood, the privatization of prisons, the takeover of the public schools by charter schools, the need for campaign finance reform; the need for labor unions to support the middle class (my local paper used to have a Labor column once upon a time), climate change, the SCOTUS Five as agents for Conservatism, the truth about the NRA, ad infinitum. Complicity in this case means aiding and abetting the Conservative crime cartel, and the media moguls will have to pay for their complicity once Conservatism is criminalized. Bertrand Russell, A History of Western Philosophy.